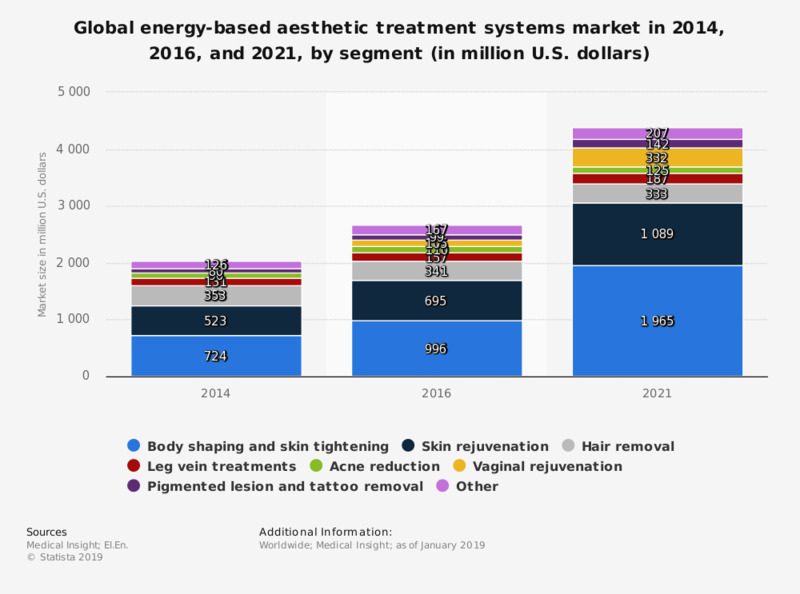 This statistic depicts the size of the global energy-based aesthetic treatment systems market in 2014, 2016, and a 2021 forecast, by segment. By 2021, the acne reduction submarket is projected to be worth some 125 million U.S. dollars. Statistics on "Eating disorders in the United Kingdom"
Thinking about access to treatment for patients with life threatening illnesses, to what extent do you agree or disagree with the following statements?